Enjoy the festive season by exploring the V&A Christmas trail, Sounds like Christmas. Until the 6th of January, discover a series of sound installations and activities at the V&A. Margot Lombaert Studio designed the signage and event's collaterals. Our dear friends from London based band El Deyma released a new single Black Room Session. We enjoyed designing their cover as much as we enjoyed this new EP. You can listen to the music on Spotify or get more details about the band on facebook. Dandydill Way is getting some attention from the press and Tania its founder has just been interviewed by Wild & Gorgeous. In this article, she speaks about the importance of design and how it should reflect the quality of the product inside the bottle. "An important part of Dandydill Way is the look of the brand and that was hugely inspired by my time living in France. I love French beauty products, they are unquestionably the world leaders in design and I insisted on finding a French designer to create the packaging. My eye for detail has been finely honed after decades of work as a make up artist so when I found someone with the same obsessive attention to every last detail – and French – it was the perfect match!" Thanks Tania, we are indeed obsessed in details! Discover our work for Dandydill Way in our branding section by clicking here. A very exciting day back on site, shooting Listen at the British Library and Designs on Britain at the Jewish Museum. Leon Chew was shooting for us and we are very impatient to share these great images with you. Discover the trailer for the exhibition Venom: Killer and Cure at the Natural History Museum. Open from 10 Nov 2017 to 13 May 2018. "If it bites you and you die, it’s venom. If you bite it and you die, it’s poison." We are very proud to announce the opening of Venom at the Natural History Museum. For almost a year and a half, we have worked in close collaboration with the NHM and interior design studio Drinkall Dean to deliver you a memorable experience. Discover the power of venom, a fragile thread between fear and fascination. Find out more on NHM website by clicking here. 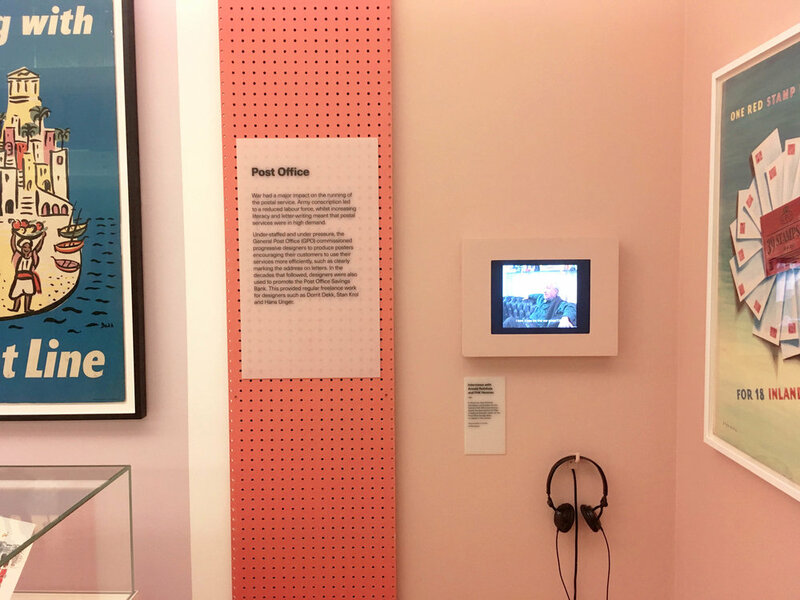 We are on site to bring you a new exhibition at the Jewish Museum in Camden, a colourful exhibition to celebrate the contribution of immigrants to the UK design scene. We are almost there, Designs on Britain opens this Thursday! Soon the drilling will be replaced by the sweet music of 140 years of recorded sound. We have been working hard with Plaid London to bring you an exciting interactive exhibition on the history of audio recording. Listen will be opening this Friday, the 6th of October in the atrium space of the British Library. Hey guys! The Fix will be broadcasted tonight at 8pm on BBC Radio 4. You can find out more by clicking on this link. Unusual day at the Studio as we have been busy recording a new design program with BBC Radio 4 today: The Fix. The Fix is a design program that aims to help solve some of the country’s most pressing problems. People from different disciplines join forces today to help tackle the problem of childhood obesity. We'll be on air mid August so turn on your radio! We just finished to handcraft our new business cards. Such as our services, we wanted them to feel bespoke. That's why we've used lots of different paper combinations playing with colours and textures. Now you just have to pick up your favourite one next time you see us! 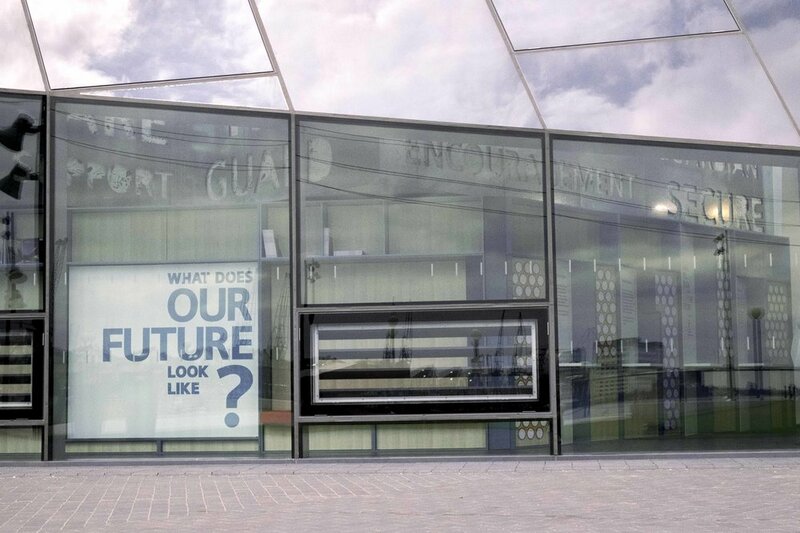 Plaid and Margot Lombaert Studio collaborated on designing participation spaces within the exhibition 'The Future of cities' at the Siemens Crystal Building in London. The exhibition showcases global trends and challenges, alongside existing solutions to build environmentally sustainable cities. We worked in collaboration with the Crystal to design active areas in which visitors of all ages could engage and participate in building a more sustainable future. We have been appointed with Plaid London to design the upcoming exhibition at the Jewish Museum. The exhibition will open in October. More than two years after the colourful West Africa, we will collaborate with Plaid London on a new exhibition at the British Library. This free exhibition will open in the fall in the atrium of the library. Margot Lombaert Studio has been appointed with Drinkall Dean to design the next major exhibition at the Natural History Museum: Venom. Follow us in a venomous world between fear and fascination while we unmask one of nature’s most deadly forces. Discover our hot news here.